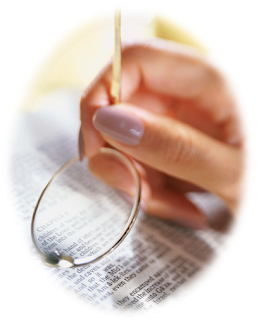 On Wings of Eagles: Are you Letting the Word go Through You? A gentlemanly old pastor was walking down the street one day when one of his church members came strutting up to him with a self-satisfied smile. The pastor knew this young man had been quite proud of his own Scriptural accomplishments, and pride was beginning to be a danger in his life. The teen boasted, "Say, Pastor, did you know that I have now read the Bible all the way through three times this year!" To which the kind pastor quietly replied, "Todd, the important thing is not how many times you have been through the Bible, but whether the Bible has been through you." The young man stood and pondered this a moment, thanked the pastor, and went on his way, promising himself to live the Bible he was learning. 17 that Christ may dwell in your hearts through faith; that you, being rooted and grounded in love, 18 may be able to comprehend with all the saints what is the width and length and depth and height— 19 to know the love of Christ which passes knowledge; that you may be filled with all the fullness of God. Dear Lord we pray that we would let Your word move through us so that it changes us. In Jesus’ name, Amen.